MTSPA is so thrilled to have another great community partner working with us! Indigo on 130th Avenue and the MTSPA are inviting you to do some shopping or take a much needed break on Tuesday, November 24th, from 5 to 9 pm. 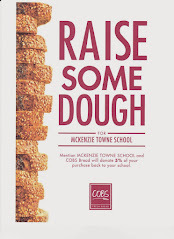 Register at the entrance cash desk upon arrival, and up to 20% of all purchases of regular priced merchandise will be generously returned to McKenzie Towne School. Perhaps you have some "early" Christmas shopping to do, or a gift card that has been waiting to be spent on a new novel or throw pillow, this is a wonderful invitation to make a difference in our kids' school! Happy shopping!! MTSPA thanks you for your ongoing support.